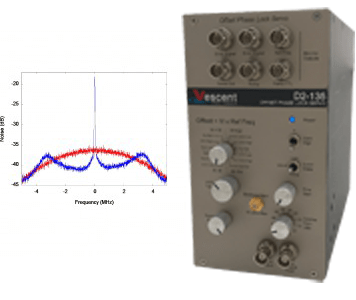 Introducing SLICE: A new generation of photonics control tools! 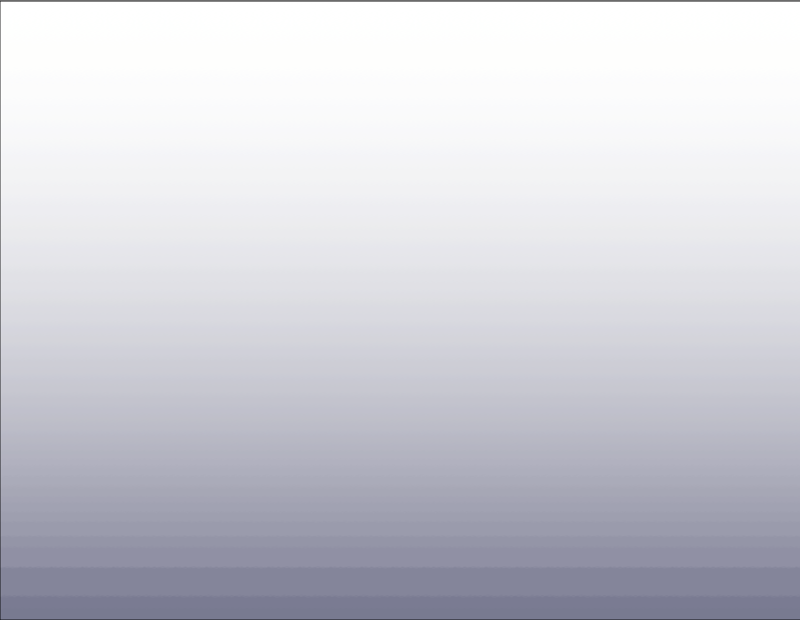 Vescent develops and manufactures novel electro-optic and laser technologies. 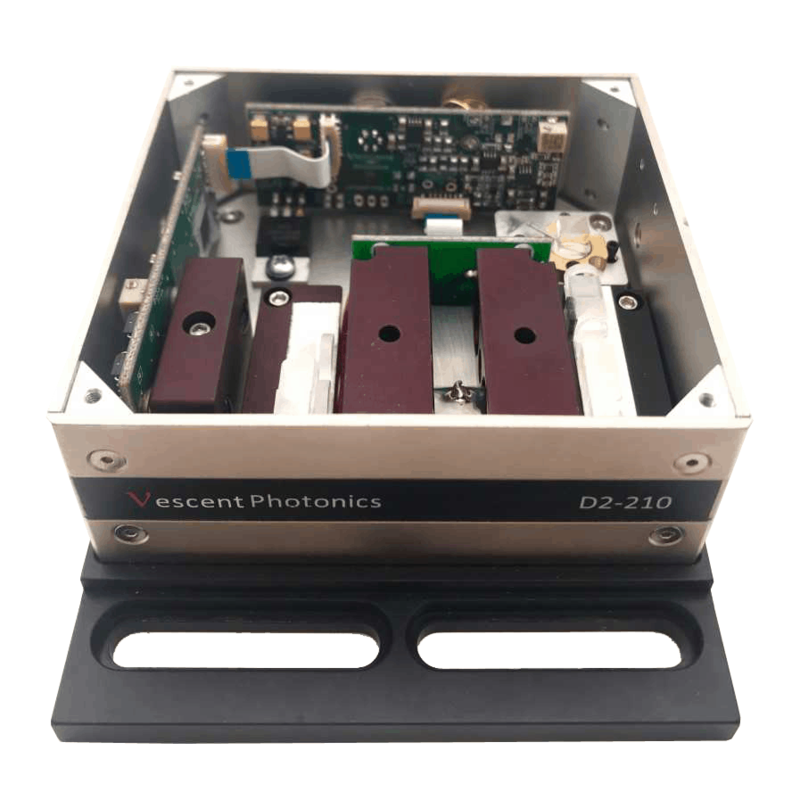 We offer frequency-stabilized diode laser systems and precision electronics; our scientists and engineers are continuously developing cutting-edge solutions to technical challenges. 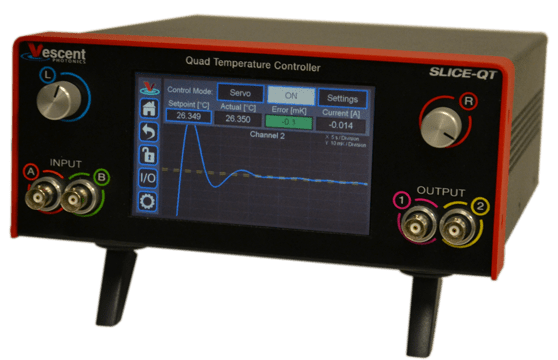 New Firmware for SLICE-QTC (4/23/2019)- We have released new revisions of firmware for the SLICE-QTC Four-Channel Temperature Controller. System Controller 1.24 and QTC 1.38 along with update instructions are now available on GitHub. 1.24 and 1.38 have new features and substantial stability improvements over the previous revisions. We strongly urge all SLICE users to update today! 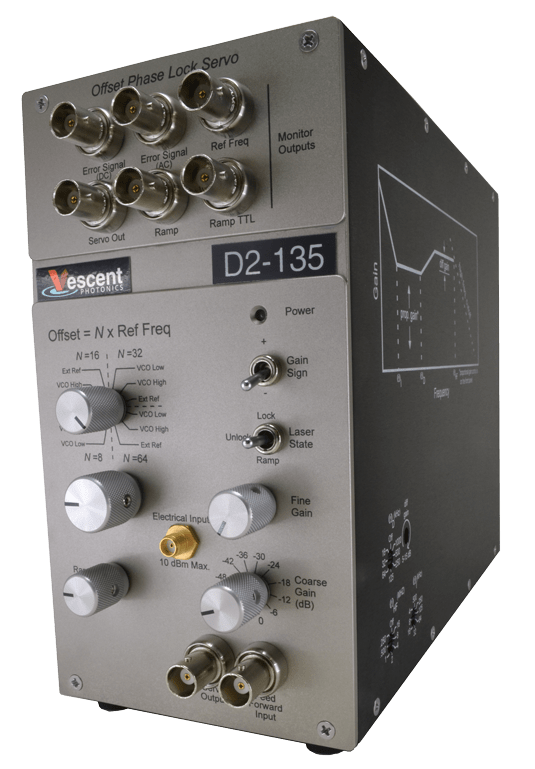 Vescent is seeking a Digital Marketing Intern (3/5/2019)- Vescent Photonics, a leading designer of and photonics tools in the Denver, area, is looking for an intern to assist in digital marketing. This is a great opportunity to develop your marketing skills and put them to work. See details here. 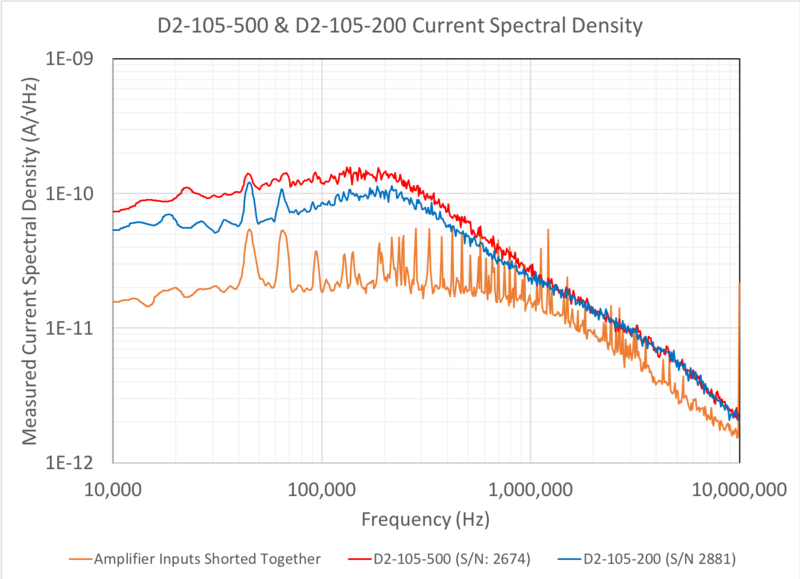 Phase Noise Between Two Phase Locked DBR Lasers (12/5/2018)- We measured the phase noise between two phase locked D2-100 DBR Lasers. 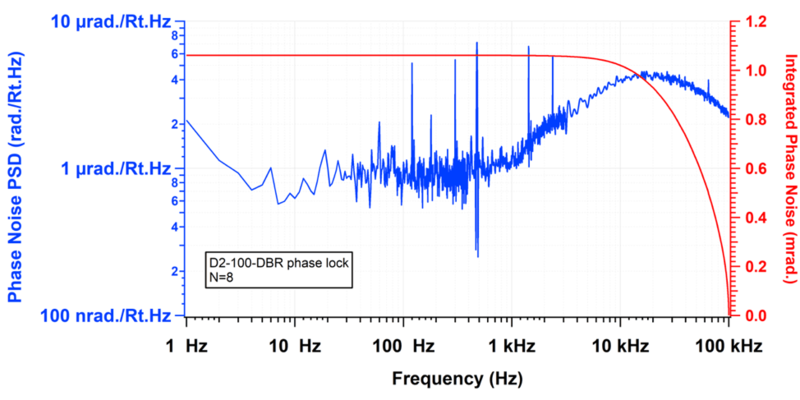 The phase noise (integrated from 1 Hz to 100 kHz) was measured to be <1.1 mrad. 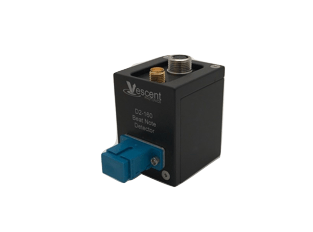 Read the complete application note here. 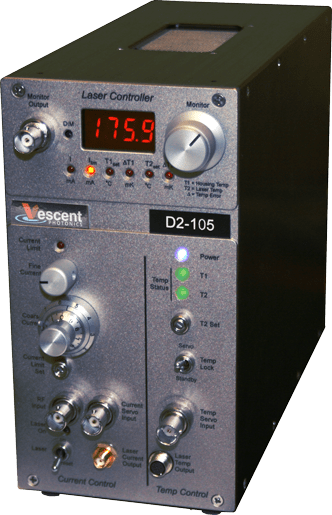 Diode Laser System (10/23/2018)- Vescent Photonics is proud to introduce our Diode Laser Systems. A complete turn-key laser system, you get everything you need to go from box to locked in under 1 hour. For more information, visit us here. Or watch our youtube video! 2018 Nobel Prize in Physics Awarded (10/3/2018)- The Nobel Prize in physics was awarded to Arthur Ashkin (US), Gérard Mourou (France), and Donna Strickland (Canada) for optical tweezers and chirped pulse amplification. Prof. Strickland is the 3rd ever woman to win Nobel Prize in Physics . Congratulations to all three!